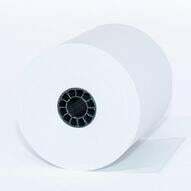 January 5, 2018 – Thermal paper supply continues to be allocated by the mills due to the on-going leuco dye shortage. Mills continue to search for alternative sources of supply to meet customer demand. These sources often come at a price premium driving up prices for thermal paper. A thermal paper surcharge was just passed to the market and will be in effect at least through the first quarter of 2018. As of today, neither Chinese leuco dye plant has restarted production. The exact date for the restart of the Chinese leuco dye plants is still unknown. When they resume manufacturing, the supply chain is expected to take months to fill. As such, we currently project supply will remain allocated through the first half of 2018. Our strategy with respect to thermal paper supply continues to keep Iconex in the best possible position for paper availability. Read the original article about the paper industry here. Thank you for your understanding, and as always, we appreciate your business. Please contact us about ordering supplies at 907-243-2683, or fill out the form below.